I don’t know whether we’ll get around to reviewing it, but if you like Picross you should check out Pictopix on Steam. It is about as excellent as Picross games come, and the main reason I’ve been procrastinating writing this news summary this week. 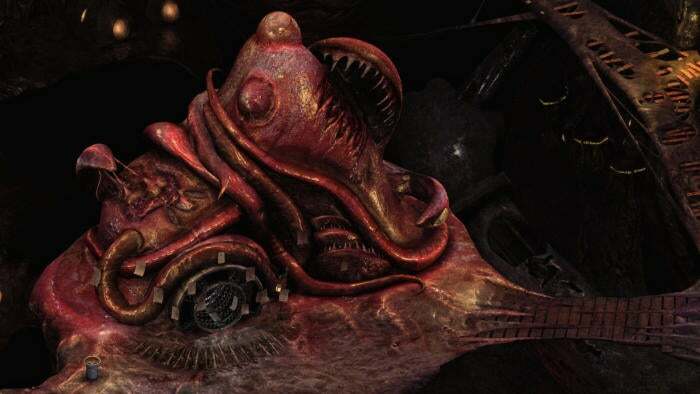 But I finally tore myself away, and here’s what I found: A choose-your-own-adventure Torment: Tides of Numenera trailer, one hell of a Humble Bundle, more info on Mass Effect and Sea of Thieves, and some harsh words between Oculus and Zenimax as their case finally heads to trial. One thing I definitely did not find: Half-Life 3. And you’re not likely to ever find it either, if Game Informer’s anonymous-and-unverified source is to be believed. That and more, as we round up gaming news for January 9 through 13. Been a while since we’ve written about a Humble Bundle, but the new Overwhelmingly Positive Bundle is worth checking out. All of the games have an “Overwhelmingly Positive” rating on Steam, with Day of the Tentacle, Deadbolt, Pony Island, Shantae and the Pirate’s Curse, Epic Battle Fantasy 4, and N++ available for $10 total. Considering N++ is normally $15 just on its own, that’s a damn good deal. Oh, and Humble’s also giving away free copies of racing game DiRT Showdown for about another day or so. Head here to claim your copy. We’re about a month out from Torment: Tides of Numenera, but if you just can’t wait a second longer you can try out the game’s new interactive trailer. Narrated by designer Colin McComb, the trailer talks you through one of Torment’s early quests and lets you spool it out to one of multiple conclusions. Pretty cool. If that sounds intriguing and you want to give it a shot ahead of launch next month, good news: You can play a Blitz “beta” from January 20 to 30. Just grab it from the Windows 10 Store. Aside from the performance issues, one of the most frustrating aspects about Dishonored 2 was the lack of a mission select—especially in light of the bug on Mission 2 where the game says you killed someone even if you didn’t. It’s coming though. On January 18 an update will enter beta on the PC, patching in custom difficulty settings (including a permadeath Iron Mode) and “Mission Restart/Select” capabilities. Don’t know why it wasn’t there at launch, but oh well. Night in the Woods is going to miss its original January release date, but not by much. Alongside a new trailer comes a new and not-too-far-off release date of February 21. These days Verdun may be eclipsed by its bigger-budget buddy Battlefield 1, but the World War I shooter’s not done yet. This week the devs released a free update adding in the Scottish, or the “ladies from hell” as they came to be known during the war. First unveiled at E3 2013 alongside the Xbox One, Platinum’s dragon-riding Scalebound was officially canceled earlier this week (first reported by Kotaku) following rumors of development troubles. I can’t say I’m too broken up about the game itself, but I hope everything’s okay at Platinum—given that Activision pulled some of the studio’s games from Steam last week, things seem a bit dire. Ouch. Looking forward to the conclusion of this one. Resident Evil VII releases later this month (wait, really?) and there’s a creepy new teaser to get you in that ol’ creepy-mansion spirit. For years now I’ve been saying it’s in Valve’s best interests not to release Half-Life 3. Not only is the studio a weird place where projects seem to come and go at a whim, but no game could live up to the hype Half-Life 3 has accrued. It would almost certainly be a disappointment. That might not be what fans want to hear, but it’s true. There’s a lot more to unpack, and I suggest reading the full thing for an idea of how Valve operates day-to-day. Just don’t get your hopes up. Half-Life 3 is probably never coming, unsatisfying as that might be to the people who tear apart Valve’s releases for some snippet of code saying otherwise.